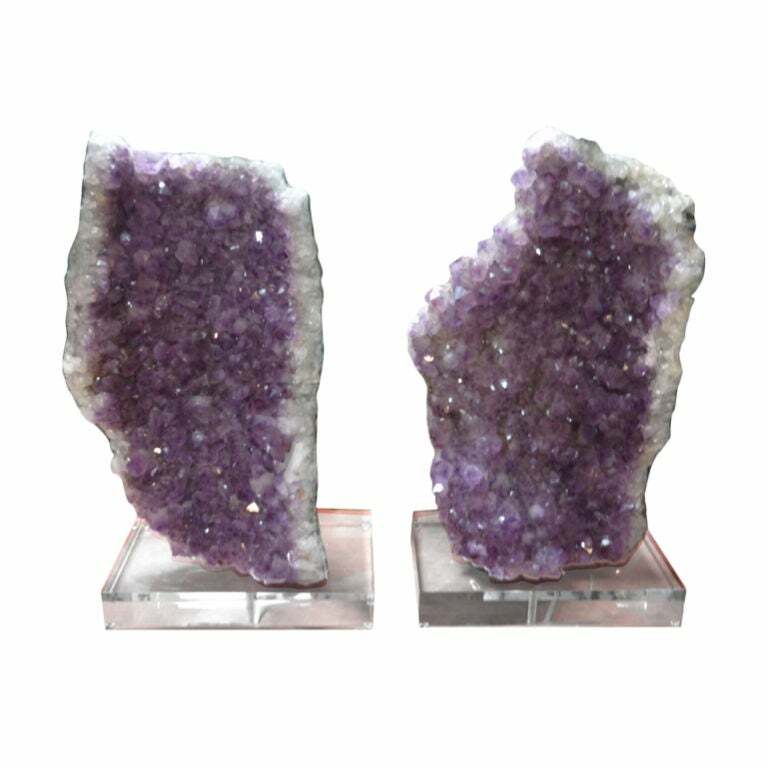 Beautiful pair of Amethyst mineral lamps on acrylic base. 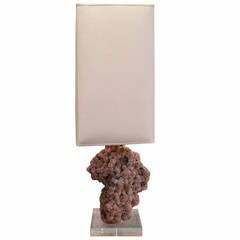 Large agate slice lamp, mounted on acrylic base. Custom silk shade. 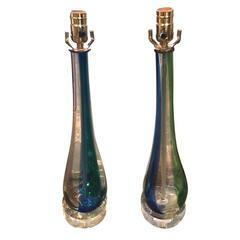 A pair of Murano lamps formed with handblown glass. 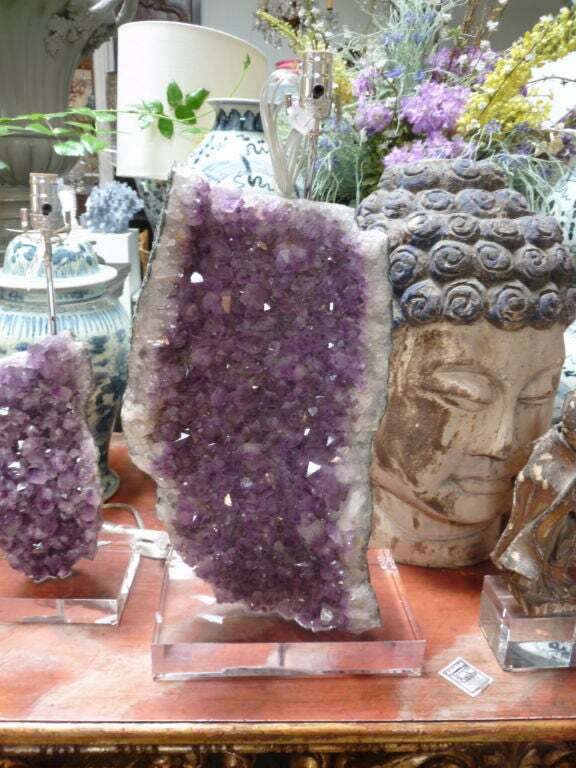 A natural amethyst sculpture mounts as a lamp. Polish brass stands. Each lamp installs two sockets. Lampshade do not include. 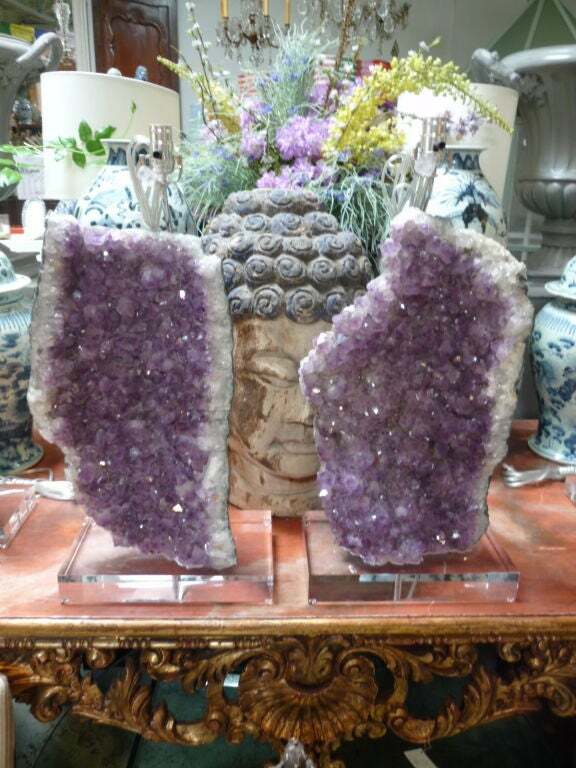 Amethyst geode cluster lamps. Mount is the lamp and the base is polished brass. Created by Phoenix Gallery NYC. 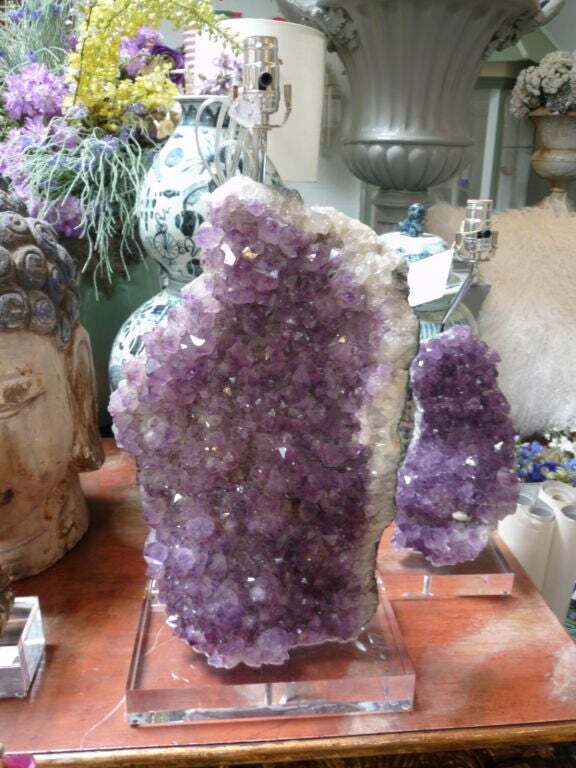 Top the top of the agate 13"in/ H.
Amethyst geode cluster lamps. Mount is the lamp and the base is polished brass. Created by Phoenix Gallery NYC. Top of the agate 11.5"in/H. 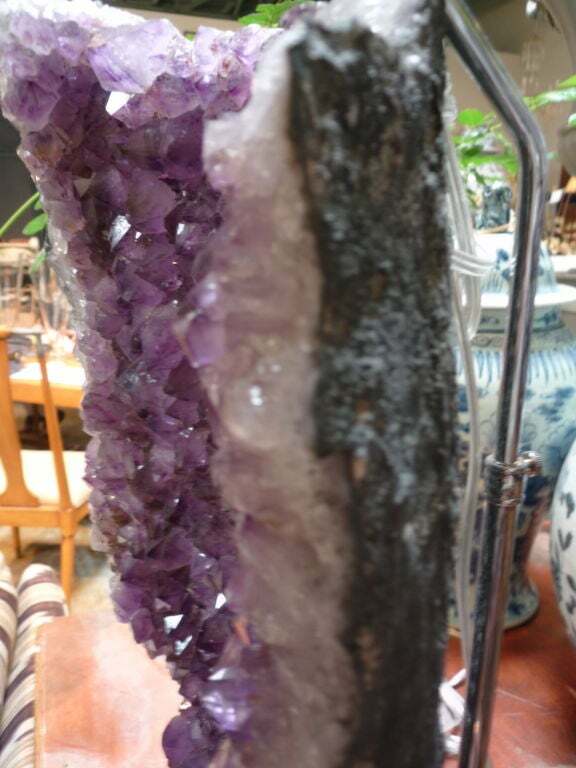 Amethyst lamp in the style of Willy Daro. Gold lamp. 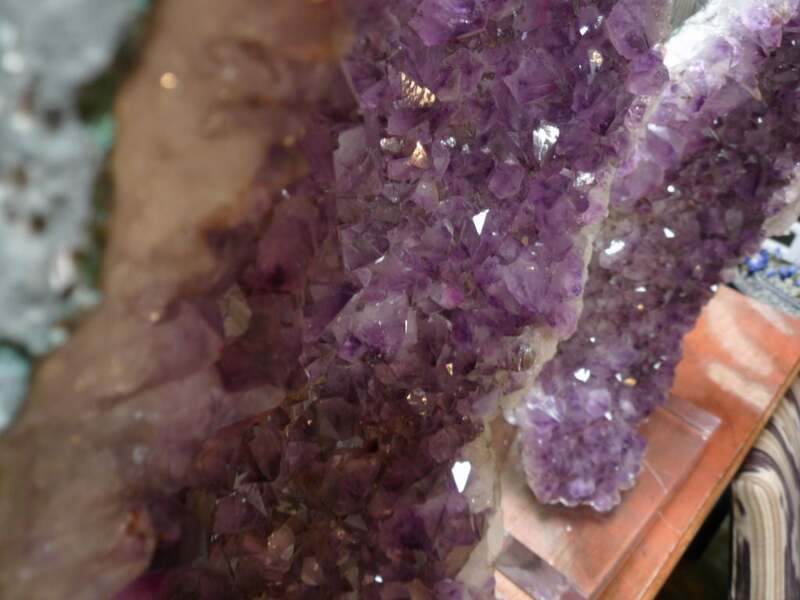 A Amethystt blown glass lamp with clear base, circa 1940s. Measurements: Height of body: 19.5" Height to rest of shade: 28.5".